WD-40 in aerosol can to spray WD-40 largely and precisely thanks to red straw! 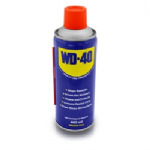 With the small format aerosol can, you can use WD-40 wherever you go! All of the handy uses in one small can: the WD-40 Handy Can is always ready to tackle your toughest jams!WD-40 protects metal from rust and corrosion, penetrates stuck or jammed parts, displaces moisture, and lubricates just about anything. WD-40 is also great when it comes to cleaning grease, grime, and other marks from most surfaces. This WD-40 solution is a non-staining, hard working formula which provides excellent lubrication, won’t attract dirt, and protects against moisture. It stops parts from sticking and can be used on high pressure equipment. 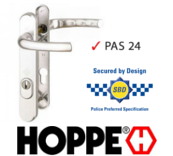 Perfect for multipoint locks and window hinges / friction stays. The WD-40 Smart Straw provides you a clever dual action spray that delivers outstanding versatility and performance. With its permanently attached spray mechanism, it offers a quick, economical and simple one-handed action to flip up for precision spray, and then flip down to spray wide areas. And what's more, there are no lost straws!